Organizations that really stand out from the crowd deliver on their brand promises every time you interact with them. From thoughtful advertising and a clear, easy online experience to the way they talk or write to you. Lets face it, though: It’s not easy to do, and few organizations achieve this. At my firm, Instinctif Partners, it’s our belief that being able to display these attributes consistently requires engaged employees -- people who understand the end customer and are behind the brand they are working for. It appears that the Ford Motor Co. is one of those few organizations; you only have to look at the automaker's numerous awards for its product line-up and the record revenue it has achieved in the past two years to know Ford has got it right. The company is also the leader in the auto industry when it comes to winning awards and accolades in sustainability, diversity and corporate responsibility. The secret of Ford's success is simple: transparency and trust, open dialogue across and up and down the business, and a clear vision. The net result is: Employees are more aligned with their organizational goals and strategy, and they become emotionally tied to their products and brand … for now. What we don’t know is whether they have achieved the ‘living brand.’ How often does the promise made by a company in its marketing and advertising fail to match up to the real customer experience? That’s the brand gap. And where one exists, the credibility and fortunes of any business is at risk. If, however, a company’s promises are delivered by its people at every touch point – in person, on the telephone and via social media, then it’s achieving a “living brand” because it’s the employees who breathe life into a brand. From a behavioral perspective, the most important way to deliver this strong “living brand” is by engaging your employees with meeting your customer’s challenges. By encouraging employees to see the business from a customer’s point of view, they can identify common causes and frustrations. This process drives the behavioral change needed to deliver on customer promises. Webcasts and skip-level meetings are fine, and fine only because these efforts are fairly standard ways of engaging employees. We know that to engage employees at a deeper level, to ‘live the brand,’ employee engagement needs a step change which ultimately future-proofs the business. As the cultural and environmental landscapes constantly shift for customers, an organization needs to be 10 to 20 years ahead in its thinking, and employees are the catalysts to drive this thinking, provide customer insight and deliver customer-centric solutions. At Instinctif Partners we’ve helped unleash the power of an organization’s people at many businesses and in many industries. One global company gave its people the space to use their knowledge to come up with ideas to solve a major business challenge. The leadership team said at the outset, they would sponsor the best ideas and put money into piloting them for 12 to 18 months. Effectively, the company championed the problem-solving abilities of its entire employee base. It was an example of smart leadership, but it also created a deeper connection between its people and the brand promise, and therefore the customer. We know and see, in the case of the Ford Motor Co., that employee engagement is linked to low attrition, higher productivity and improved organizational trust, resulting in employees going beyond the call of duty. We also know an engaged employee takes pride in his or her work, is innovative, looks for challenges and is committed, all of which directly impacts an organizations bottom line. Behind all winning organizations, such as Ford, there is real focus on employee engagement from the top to the bottom. True leaders know that it’s not just what they sell that will give them the competitive advantage, but also how it is sold. The role of leaders and perhaps to a greater extent, line managers, is huge and encompasses the ability to clearly articulate the vision and goals. These leaders should also give employees the space and time to play an active role in an organization’s future that includes the ability to challenge, innovate and collaborate. So, whatever Ford Motor Co. is doing now, it is getting it right: Customer opinion is good; the company has a great product line-up, and it is a leader in the industry in diversity and sustainability. 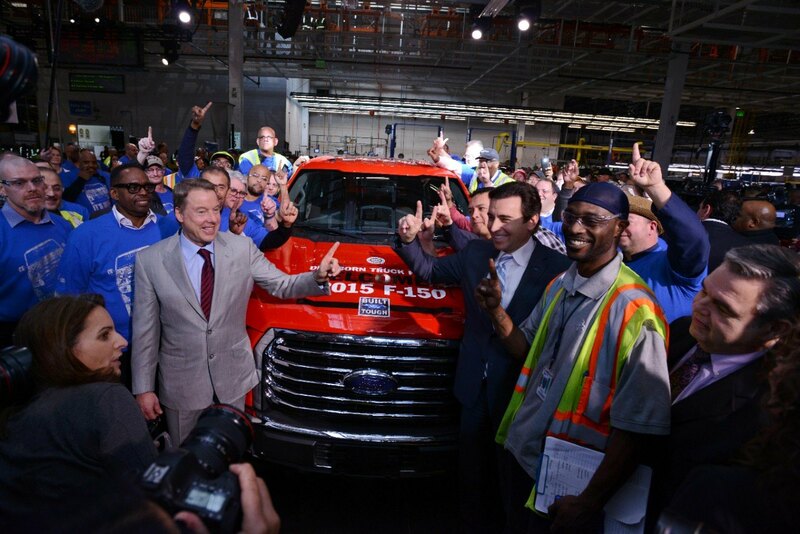 However, the future is now, and as Ford employees are shaping its future, will the company continue to engage employees to “live the brand” to the deepest level? Will it continue to be one step ahead of its competition by aligning employees to the brand? Image courtesy of Ford Motor Co.
Daryl Horney works in strategy and business development at Instinctif Partners.